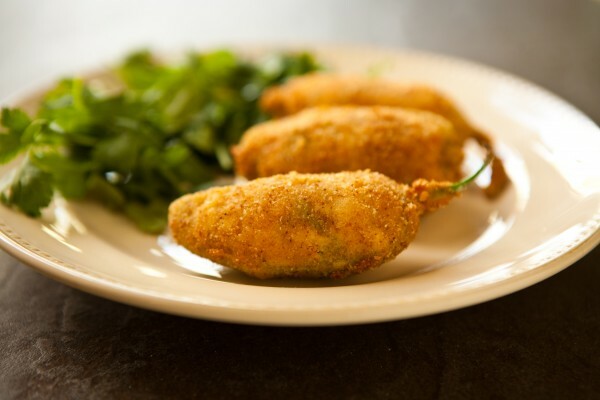 I love making jalapeno poppers. They are so much fun and you can make them so many different ways. In medium bowl, mix cream cheese, Cheddar cheese, cumin, chile pepper powder, onion powder and garlic powder until well blended. Spoon mixture evenly into chile halves. In small bowl, mix flour, salt and pepper. In second bowl, beat milk and egg with whisk or fork. In third bowl, place bread crumbs. Dip each stuffed chile half in flour mixture and then in milk mixture; dip again in flour mixture and milk mixture, then dip in bread crumbs (making sure chiles are completely coated). In deep fryer or heavy saucepan, heat 3 inches oil to 350°F. Fry chiles in batches in hot oil 2 to 3 minutes or until golden brown. (If cheese starts to ooze out, poppers are starting to overcook; remove immediately.) Drain on paper towels. Serve warm.